Hello! 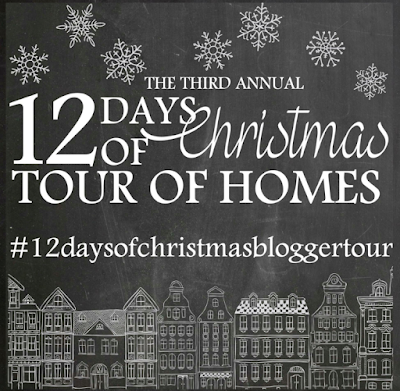 This year I’m participating in the 12 Days of Christmas Tour of Homes hosted by Jenny from Evolution of Style Blog. 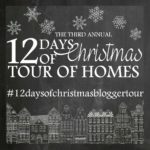 The Tours began yesterday as Jenny and Amanda from Dixie Delights shared their home tours! 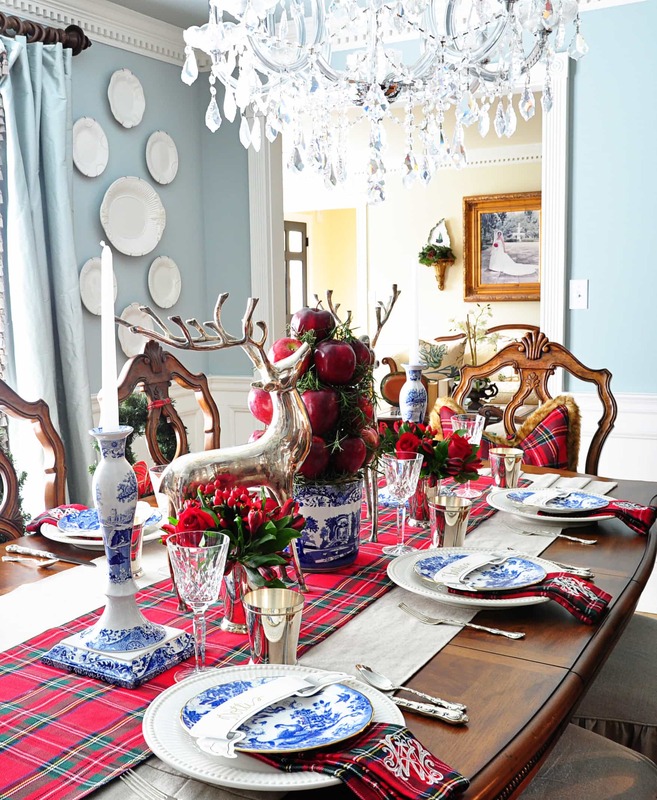 They did an insanely gorgeous job decorating their homes for Christmas! I hope you all enjoy the home tour! 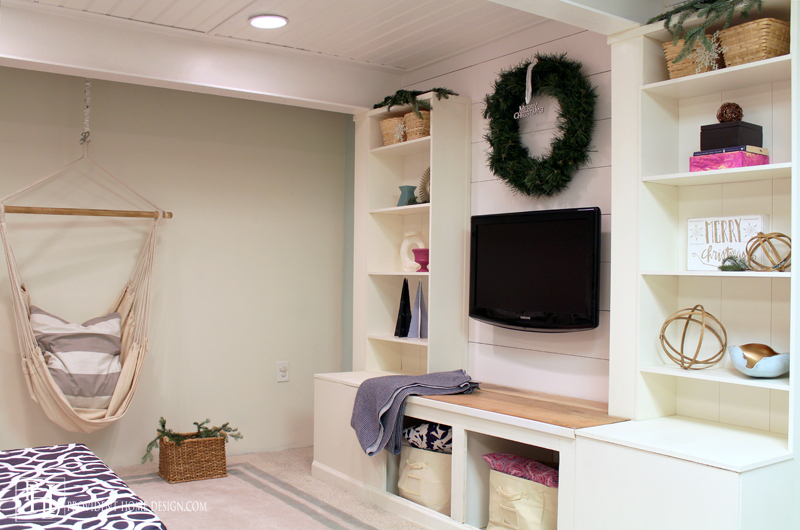 So lets begin with my favorite room–the family room. 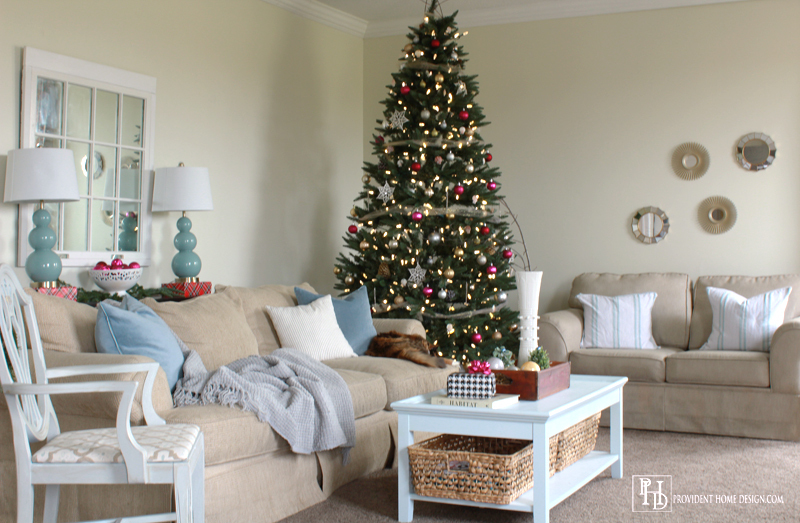 The family room is where we spend most of our time and it is where I spent the majority of my time decorating for Christmas! 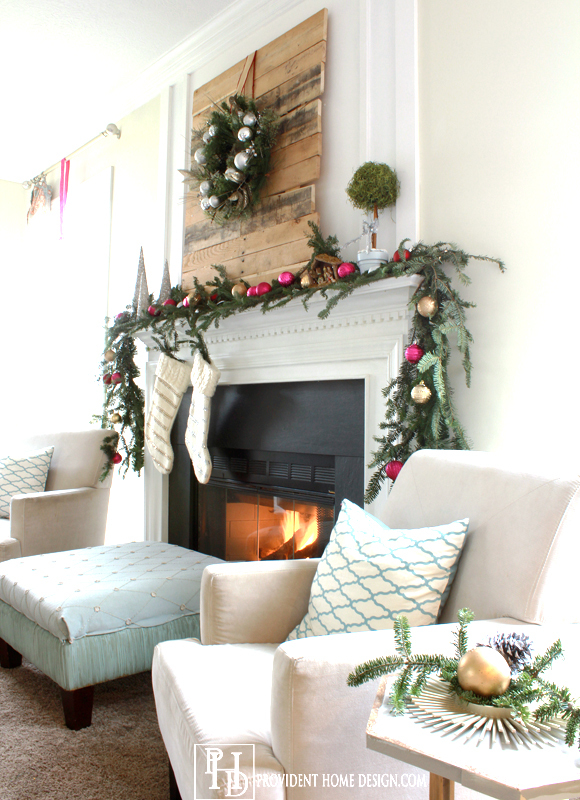 I made all of the garland on the mantel from Christmas tree clippings for a whopping total of $0. I went to Home Depot and asked if I could bag up some of their leftover Christmas tree clippings and sure enough they said yes! Lowe’s does it too (at least last year they did) just be sure to bring your own bag or way of carrying all the clippings home. 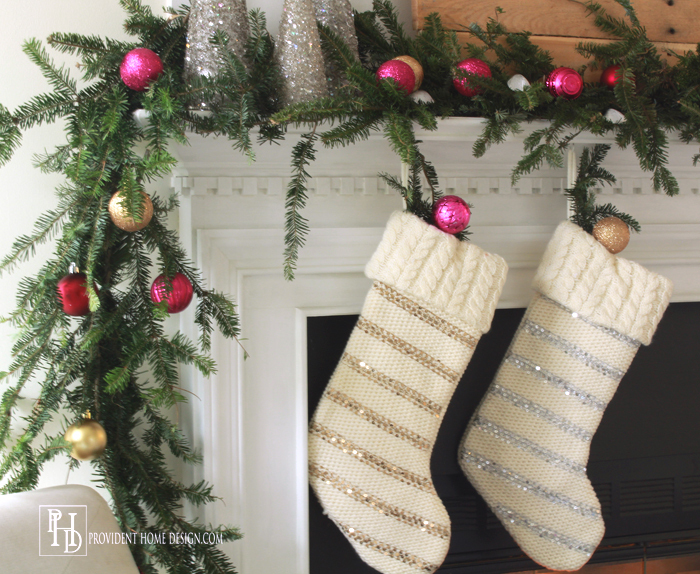 The stockings are from Kohls and were only $15 each. 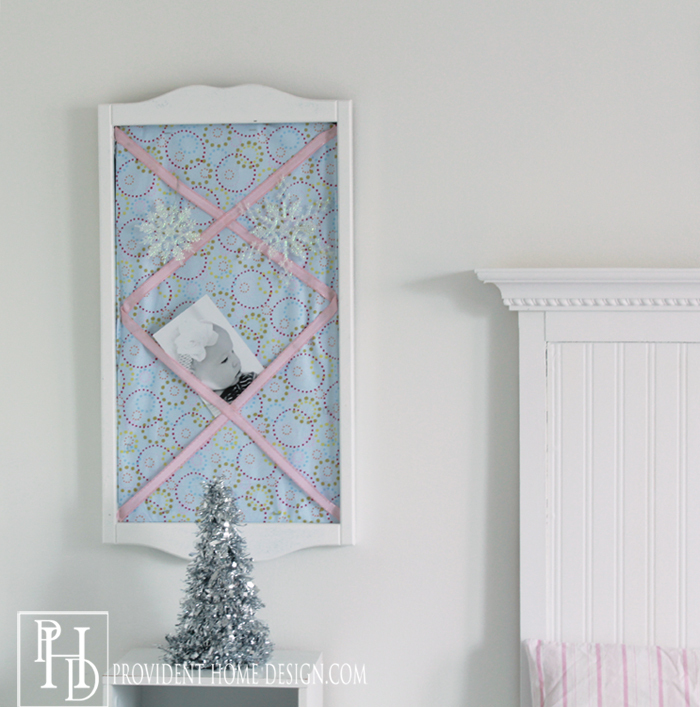 We will bring the kids stockings out to hang up closer to Christmas. 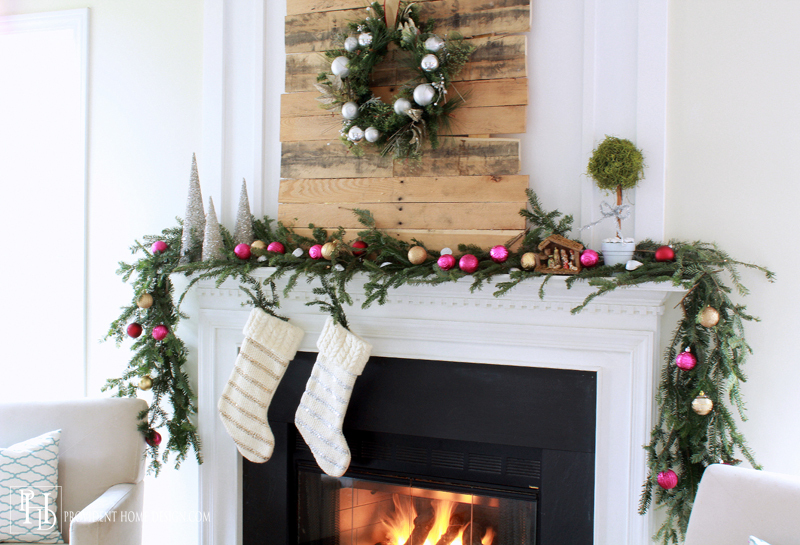 The wood backdrop for the wreath is made out of a pallet, an easy diy you can find Here! All of the ornaments are from Walmart and are shatterproof. And in the same room but on the other side is the Christmas tree. 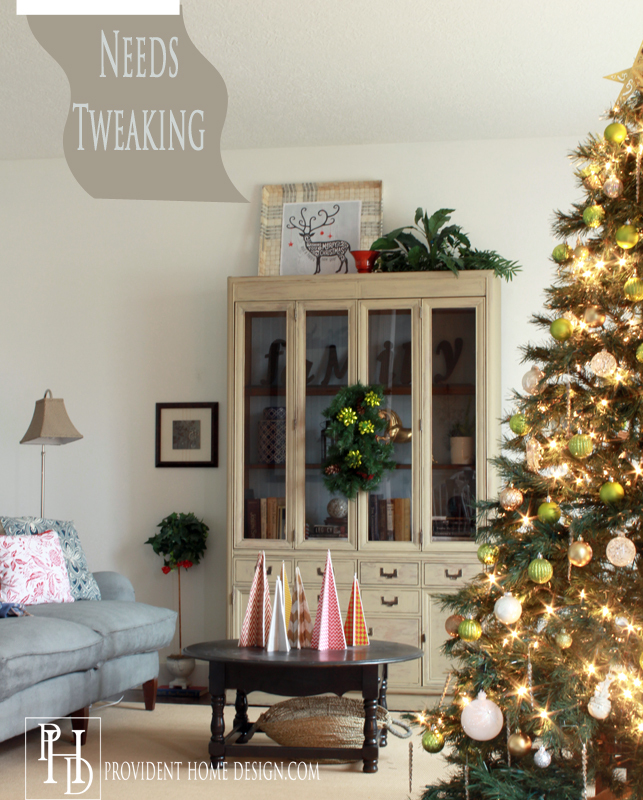 I shared all my money-saving tree decorating ideas last week in this post! 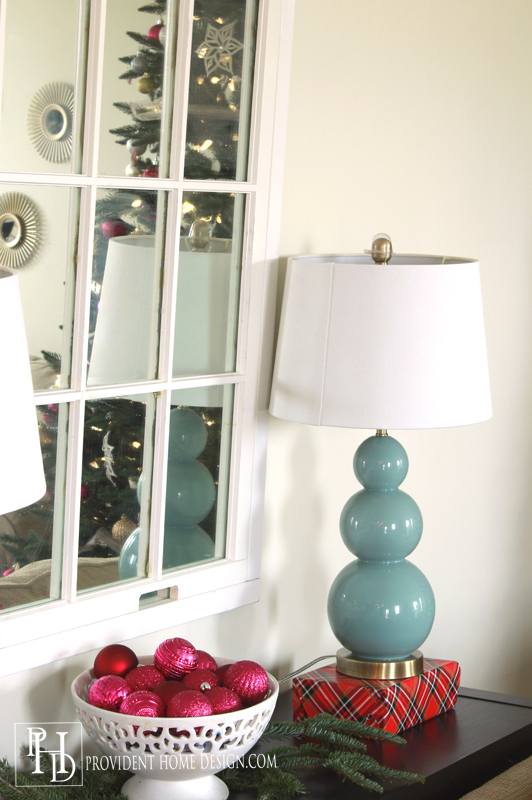 The lamps are a recent purchase from Homegoods. I wrapped a couple of books up in my favorite plaid wrapping paper to add height to the lamps. The sunburst mirrors were a steal I found at Aldi’s. $5.99 for a pack of 3!! 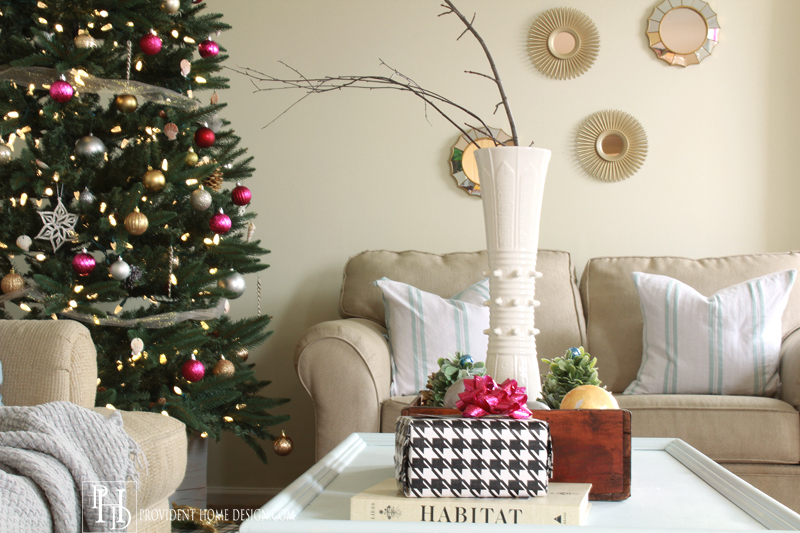 The Habitat book on the coffee table is my go to decorating book! If you love interior design or want to learn more about it then you will love this book. 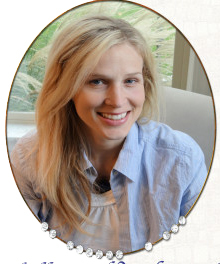 You can read the awesome interview I did with the author, Lauren Liess, Here. I just had to add this cutie cozied up! Our family room is open to our eat-in kitchen. 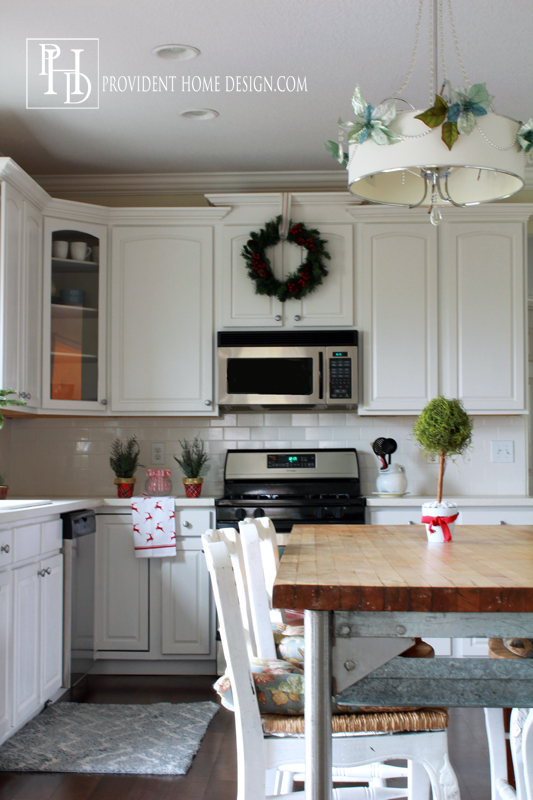 Every year I add turquoise poinsettias and silver beads to the kitchen chandelier. Years ago I got these artificial plants on clearance for a $1 a piece. 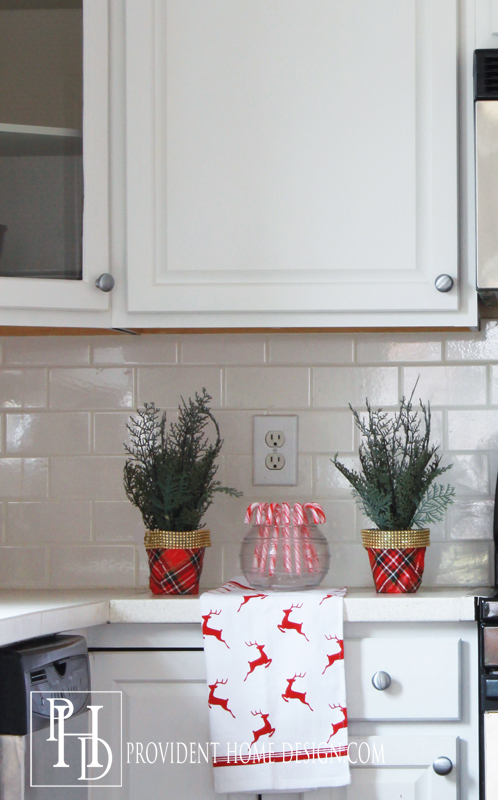 They had a plain black pot but this year I wrapped them up in plaid wrapping paper and added gold trim I found at the Dollar Tree to spice them up. 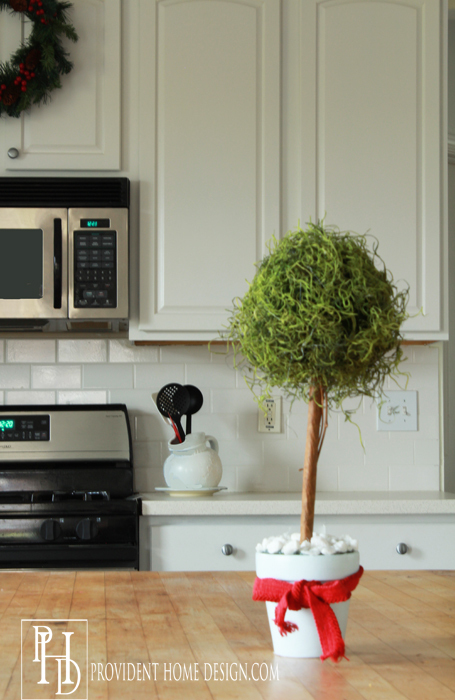 This DIY topiary (tutorial to come) got a red bow. 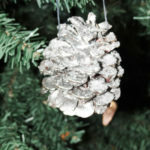 I already had the mercury glass vase but added some more free clippings to it, pinecones, and dollar store small red ornament bulbs. 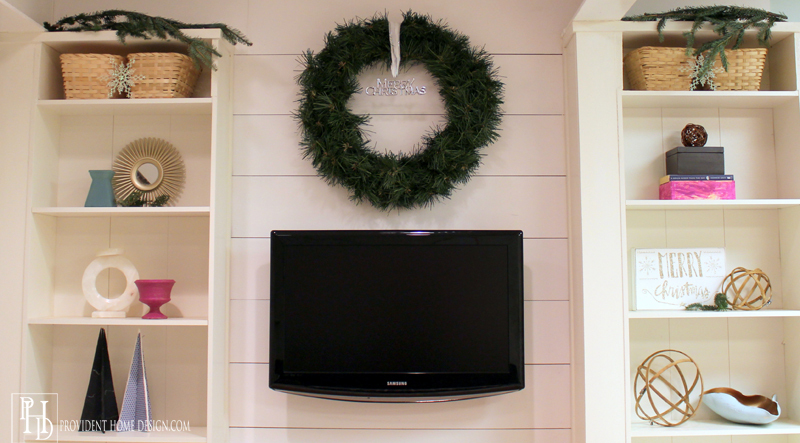 Moving down to the newly made over basement I added a large wreath above the TV that I purchased for a couple of dollars at Goodwill. I added some more free greenery to some of the shelves and some DIY Christmas Trees to the bottom left shelf. 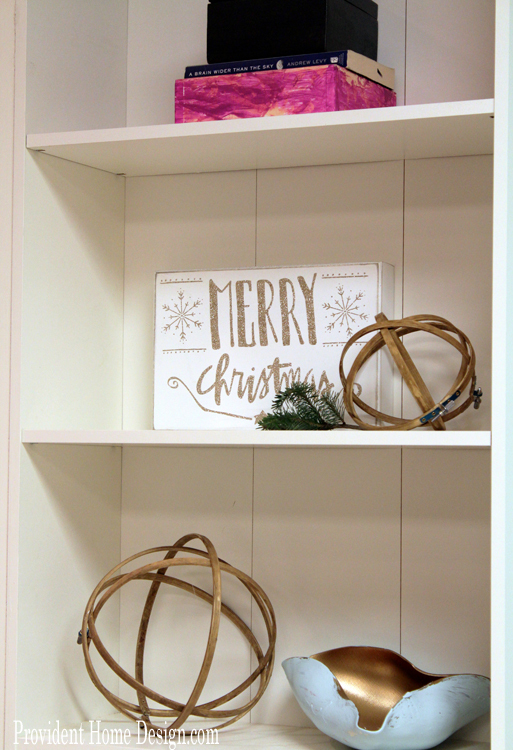 I picked up the Merry Christmas sign at Homegoods this year. The only bedroom I decorated this year is my 4 1/2 year old daughter’s. She is the most excited for Christmas of the kids. 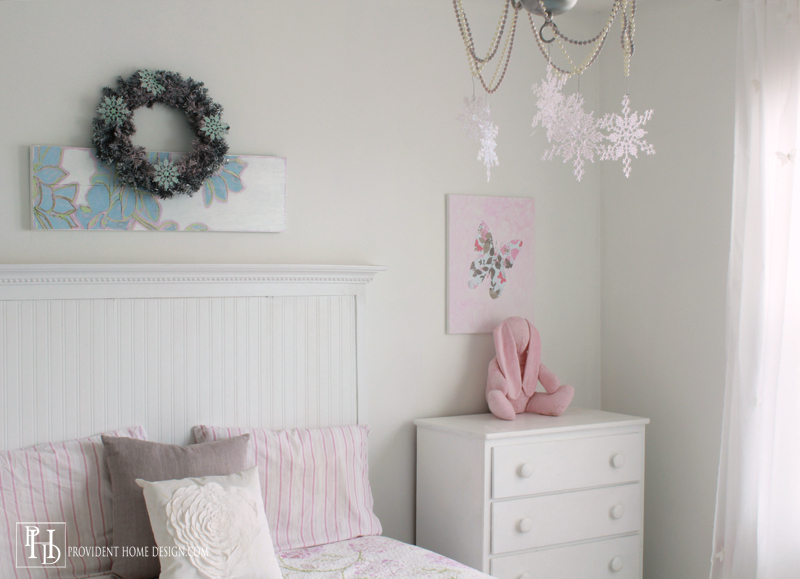 I added snowflakes (I got from a garage sale a long time ago) to her chandelier, wreath, and bulletin board. 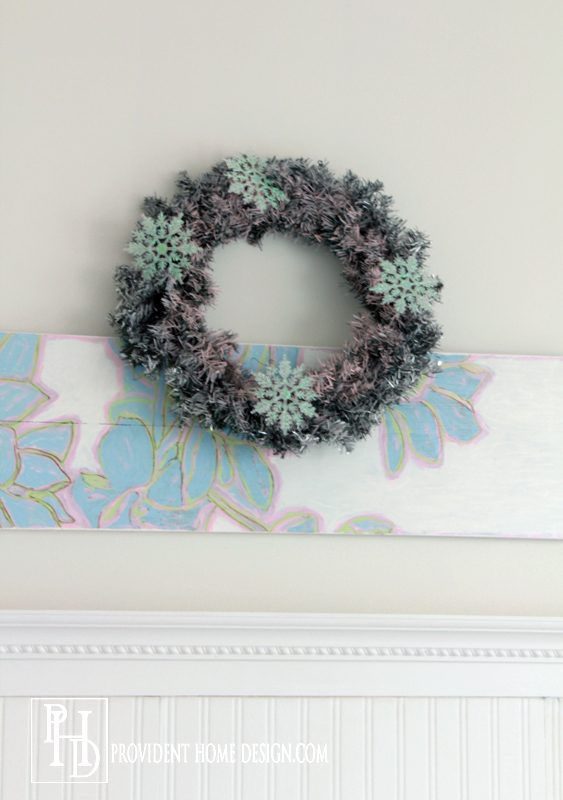 I tried to spray paint another Goodwill wreath pink and silver. It didn’t turn out great but good enough. And a dollar stone silver tree on the side of her bed. She loves it! Back down the stairs and to the living room we go. :-) The living room isn’t finished–it needs some tweaking but I thought you may want to see it so far. The table holds a handful of diy table top Christmas trees I made out of foam board and scrap paper last year. This is looking at the Christmas tree in the living room from another angle (you can tell the kids have been rearranging ornaments). If you love your Christmas wrapping paper why not place them in a basket and tie a ribbon around them and make them decor (until you need to use them). Well, I hate to say it but we are at our last stop in the tour, our front door. Little miss kitty is sad to see you go! Thanks so much for coming by!! 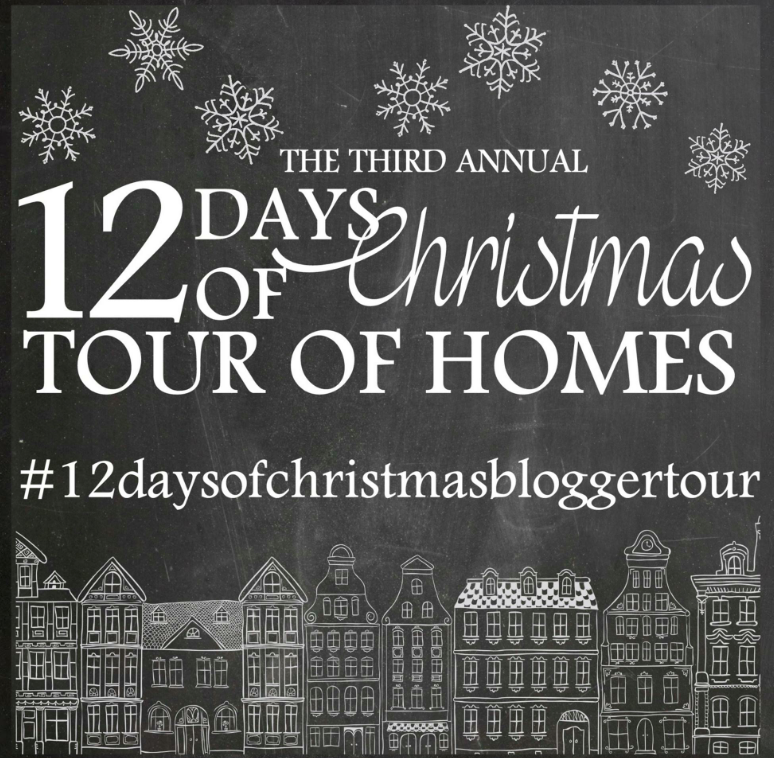 I hope you enjoyed this Christmas home tour! 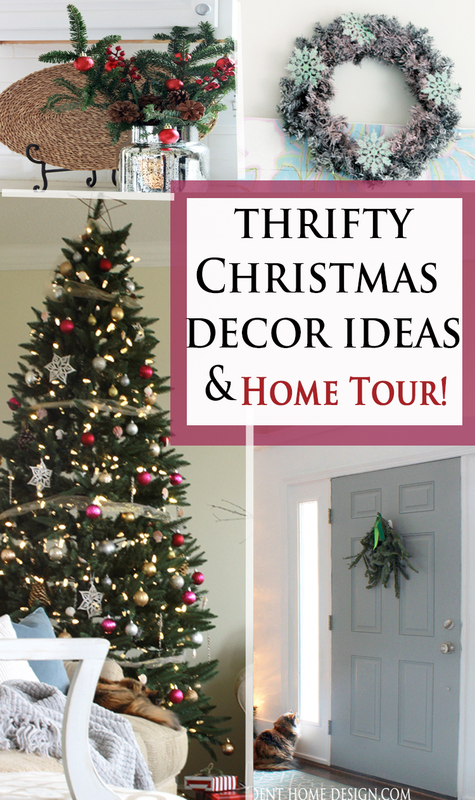 Be sure to check out the other tours for more Christmas decorating inspiration and enjoyment! There is some serious talent in this group! You can find the schedule below with links! I hope you have a great rest of your week!! All so pretty Tamara! 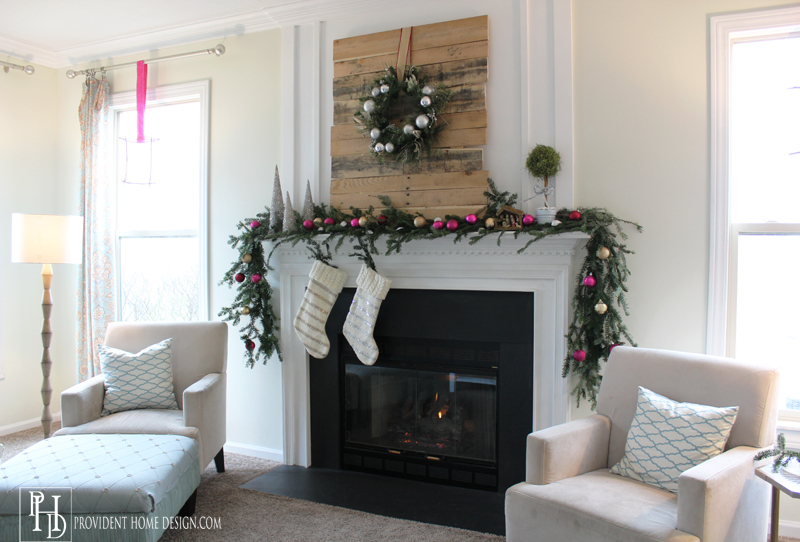 Love the wood pallet with the wreath on your fireplace . Everything looks so festive! 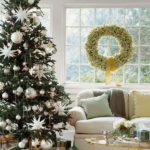 I truly love the tasteful and laid-back feel of your home, your Christmas decorations are right on target with that as well. The touches of pastel and just the right amount of shimmer and glitter is just perfect! I love too how you spread gifts thru out your home and not just by the tree. 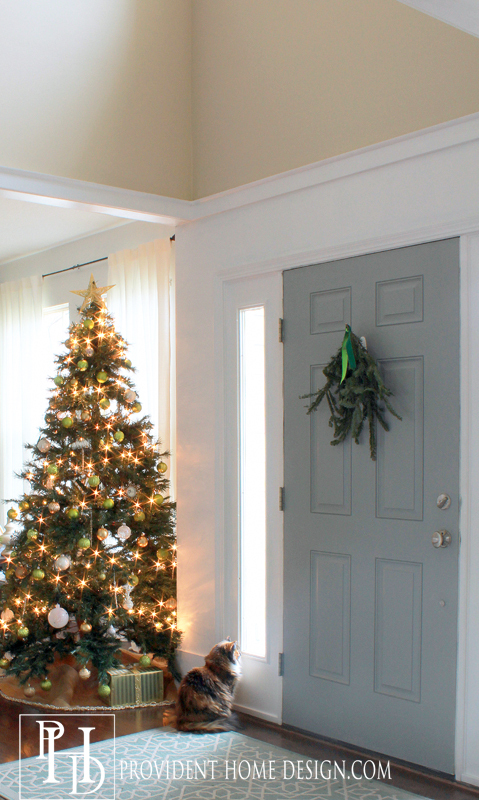 I also like how you placed the garland on your door as well as the snowflakes in the room!!!! 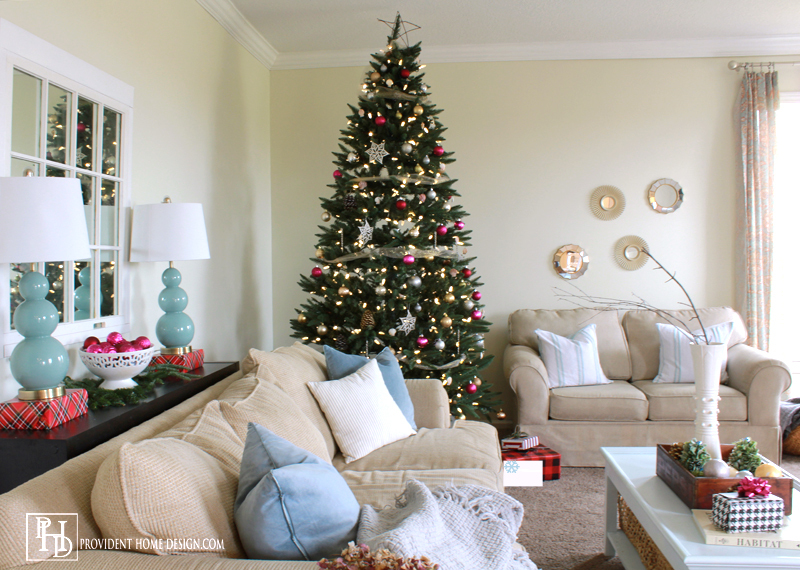 I am sure you and your family will have a very happy and special Christmas in your lovely home!Happy to share this home tour day with you Tamara! Such a sweet comment, Vel, thank you!! 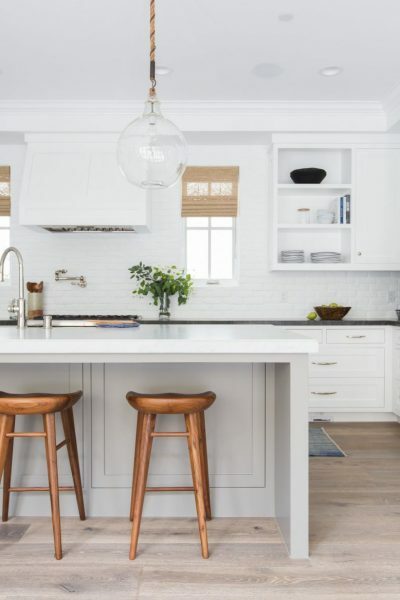 Tamara, your home looks so gorgeous! 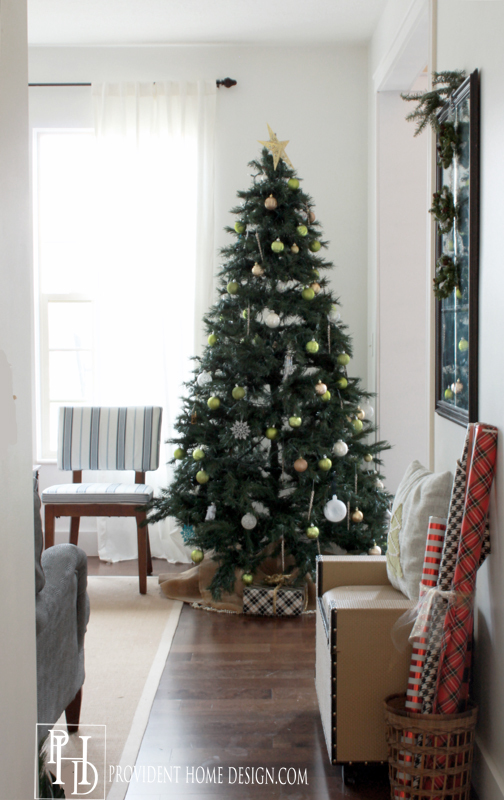 I absolutely love that your living room tree is right by the foyer so you see it when you walk through the door! Also the pink, red and gold ornaments in the family are so bright and cheery, so pretty!!!! 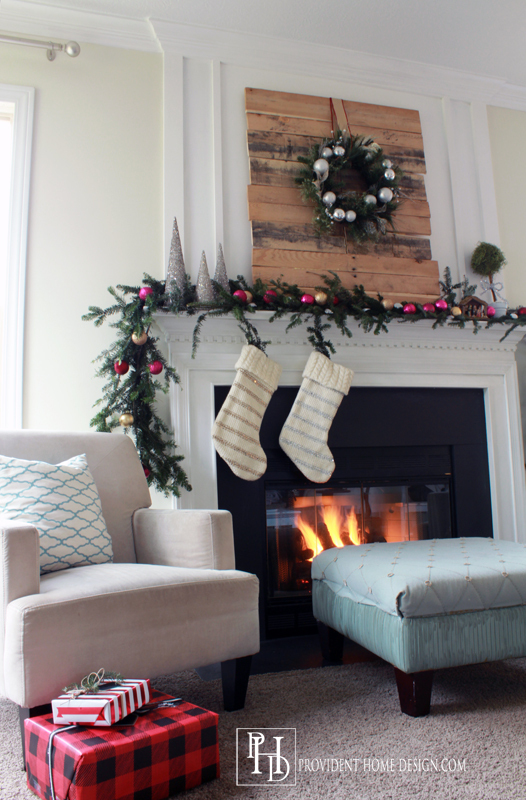 Hope you and your family are enjoying your holiday home all decked out! Thanks for sharing all your great ideas and sources! So glad to have connected with you too, Kris! Thanks for stopping by! Beautiful! 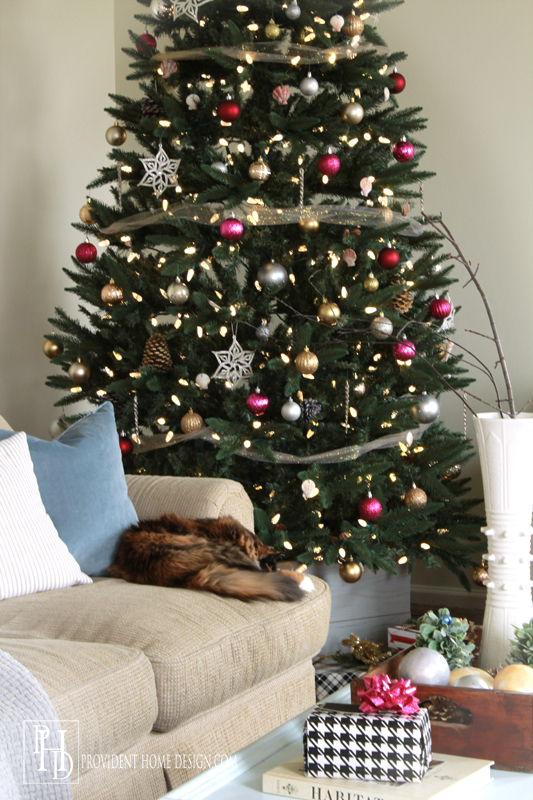 It looks like you went pink and gold with the ornaments, but is that actually red? If it’s pink, I am so glad someone else decorated in pink and gold because that’s what I did! I love all this! My husband is making over our mantel area right now so unfortunately not all my decor is up or where I want it! I know it’s for a good reason, but not being fully decorated for Christmas bothers me! LOL. All your rooms turned out great! Hi Morgan, yep it’s pink and gold too! Great minds think alike!:-). 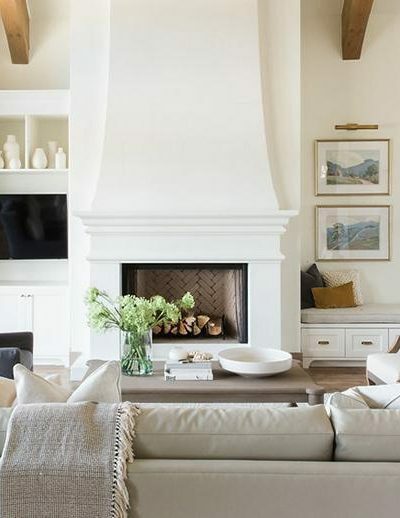 A new mantel sounds fun!! I love the foam board trees you made. I was wondering if you have a tutorial on those? I checked around, but maybe I overlooked it? 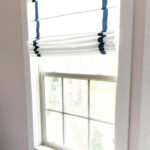 Love your creativity, Tamara – great ideas to add to my design! 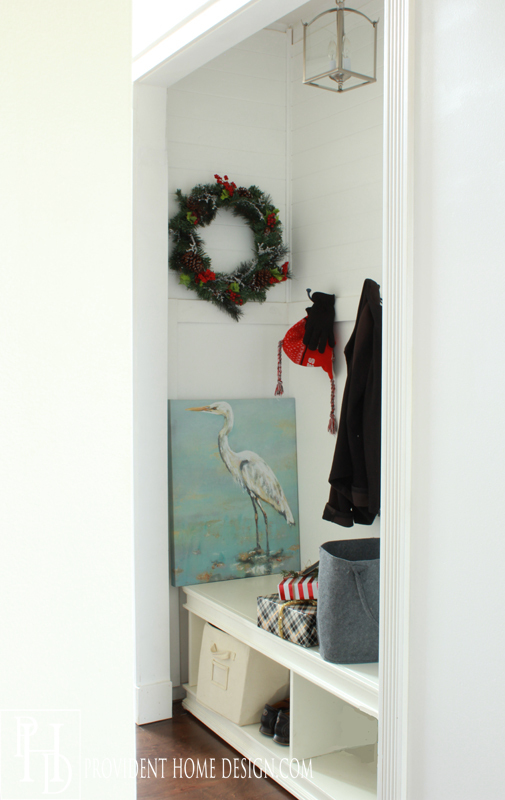 Also, bsessed with the shore bird picture in the mudroom ~ did you paint like other projects you posted? Need that, Santa! I lucked out getting that painting a few months ago at Homegoods for $30!! I have seen similar paintings at Ballard Designs but they are a bit more pricey. I wonder if etsy might have some for a decent price? I will keep my eyes peeled for you!! 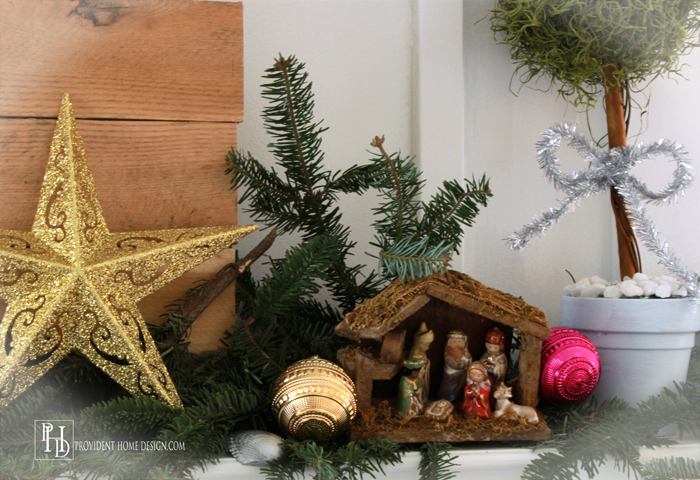 Tamara: So much love and attention to detail with your Christmas decor…and I am really fond of a deal–so bravo!!! Thanks, for opening your pretty door and giving us a beautiful tour. Aw thank you, Mary Ann! So beautiful, Tamara! 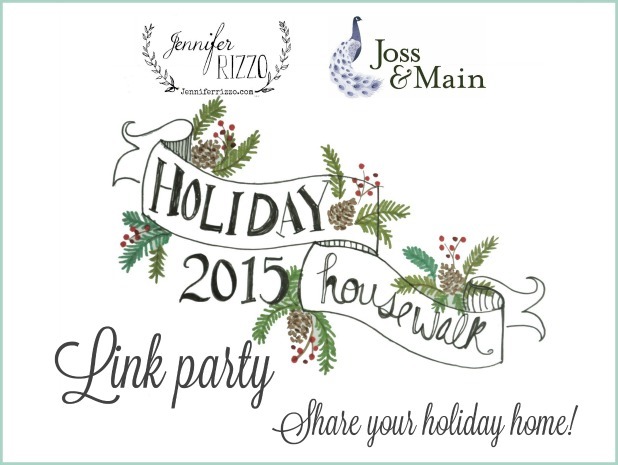 I love all your pretty touch throughout, and festive entry! 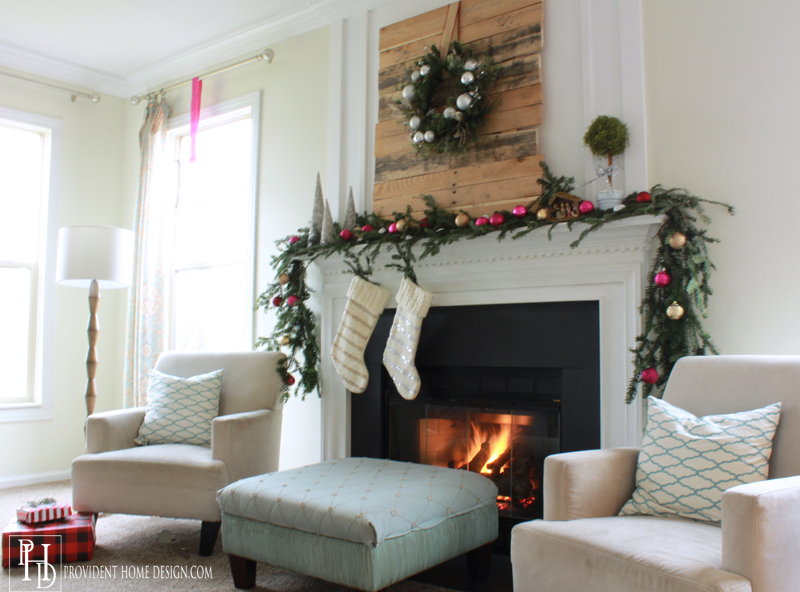 The pallets above the mantle and the garland you made looks fabulous! Thank you, Pam! :-) Can’t wait for your tour! 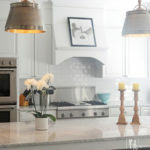 Do you know the color of the paint on the walls of Amanda’s dining room ( I love it!)? 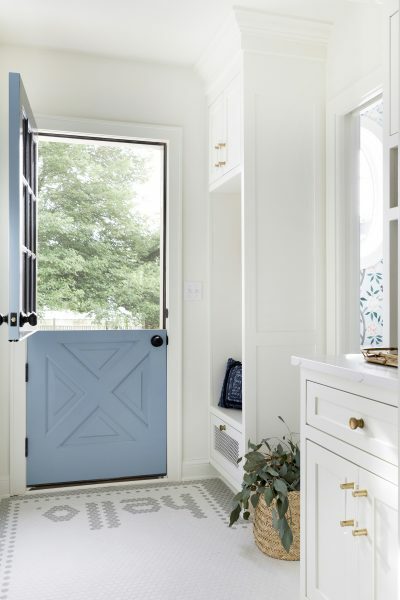 Hi, Caroline, it is Benjamin Moore Beach Glass! It is very pretty!! Wow Tamara! 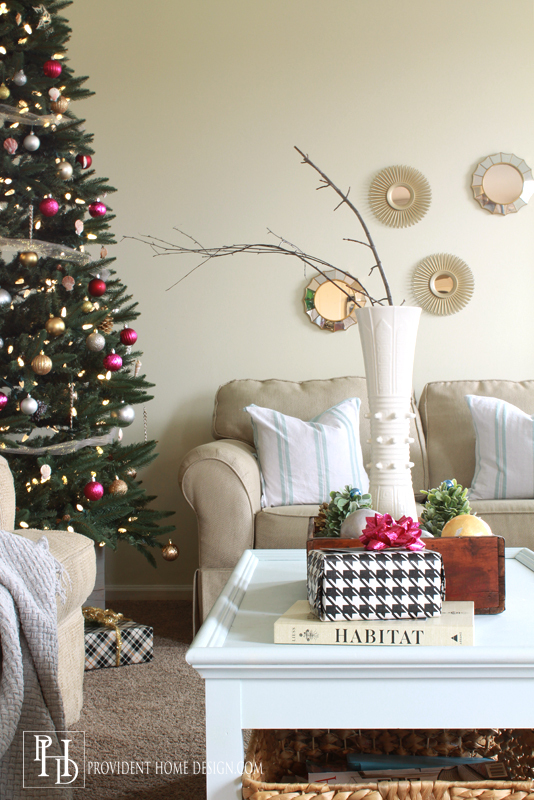 Your Christmas decor is an extended reflection of your chic and clean style. 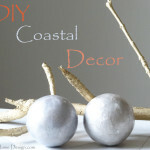 I love all the DIY’s you have and am VERY impressed by how many rooms you decorated!! 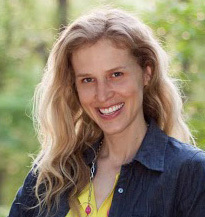 Thank you, Jennifer, you are wonderful! Beautiful tour! 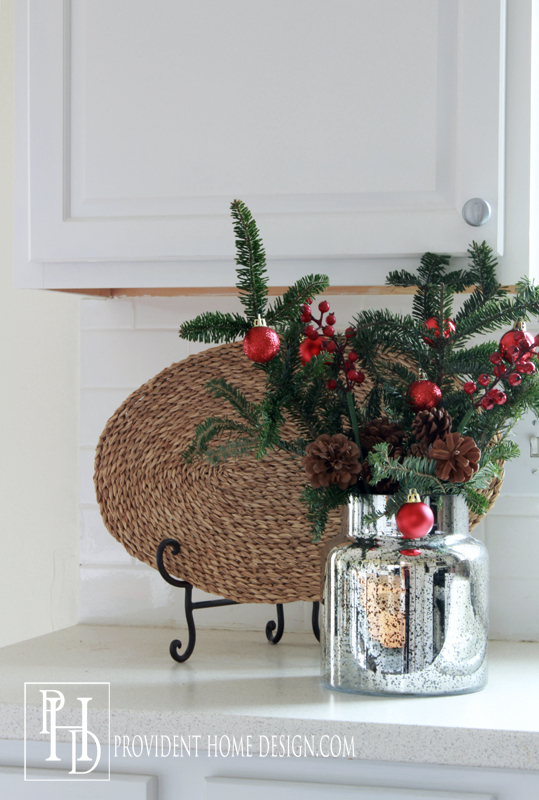 I love your style and all your gorgeous holiday touches around the house. Your kitty makes the perfect accessory! 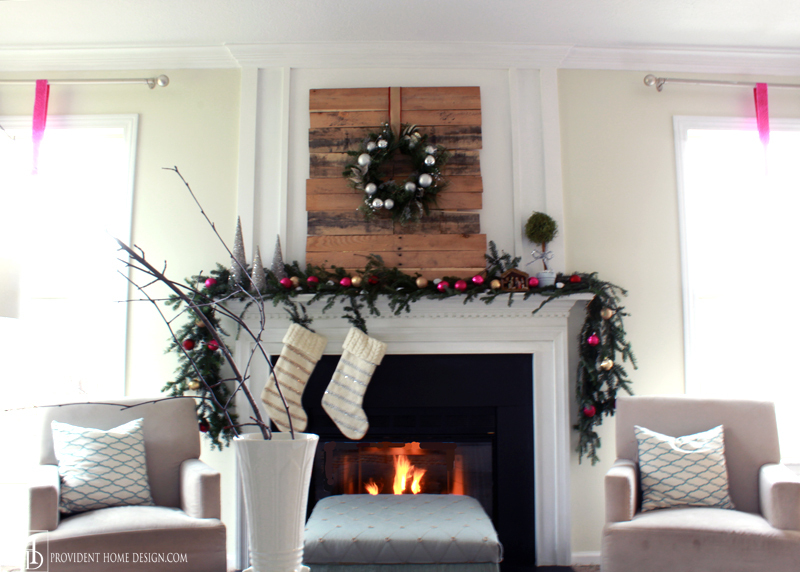 Beautiful-I love the wood pallet on the mantel-I would keep it up all year! Thanks for the tour. 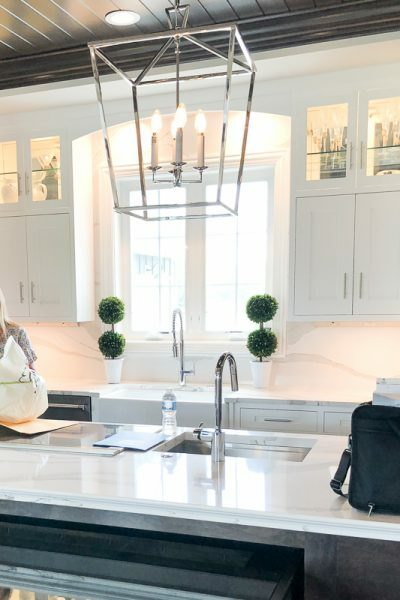 Such a beautiful home tour!!! Thank you, Sarah!:-). I loved your tour too! It’s all so pretty. I love how you incorporate pink so wonderfully!! Beautiful, loved touring your home! 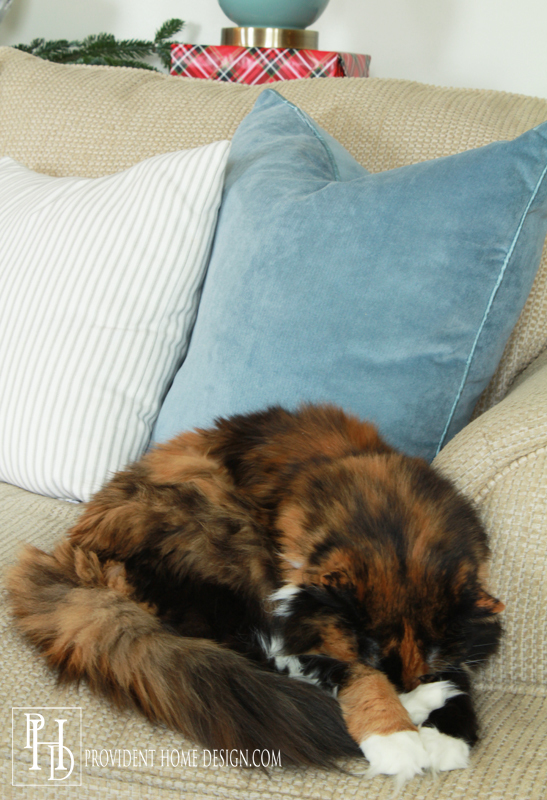 Where did you get your blue velvet pillows on the couch? I’ve been looking and looking and can’t find “the” perfect blue. Thank you SO much for your time! 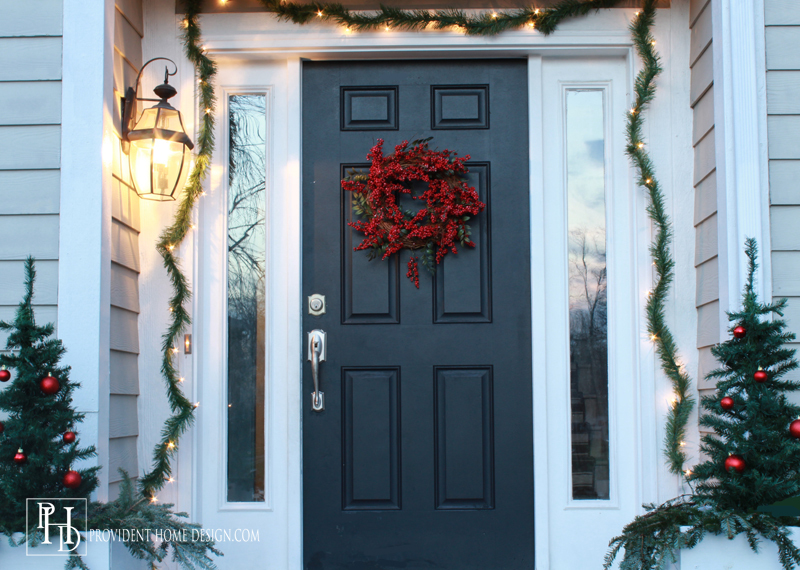 So pretty….I am really getting in the mood seeing all of these beautifully decorated homes! I love your tour! Your home is just beautiful. 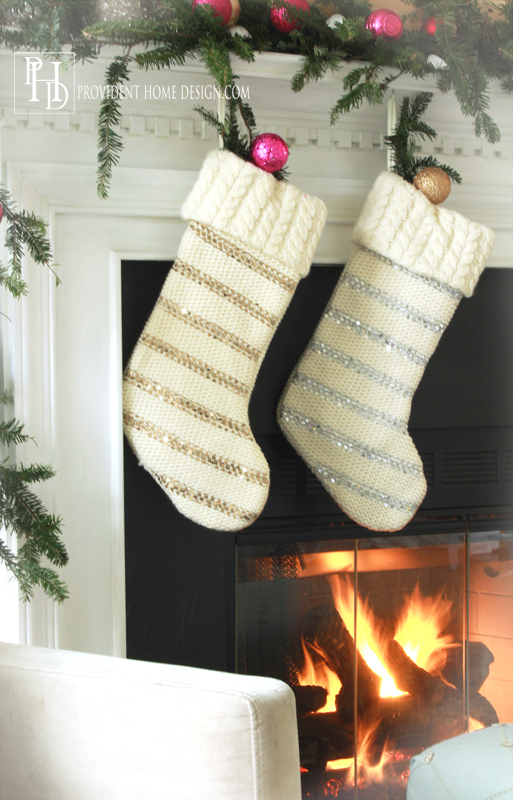 I’m in love with your mantel too! I love your Christmas tour and your home!! BUT I need to know where you got the crane picture on the shelf in the middle of your photos! I have been looking for just that picture or one like it forever and couldn’t really find it. IF you remember, I would really like to know. Thanks so much and Merry Christmas! Hi Vicki, I bought the crane picture from Homegoods a few months ago. 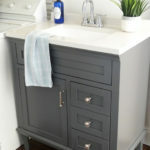 Ballard Designs has a nice one too but it is pretty expensive. I will keep my eyes peeled for you! 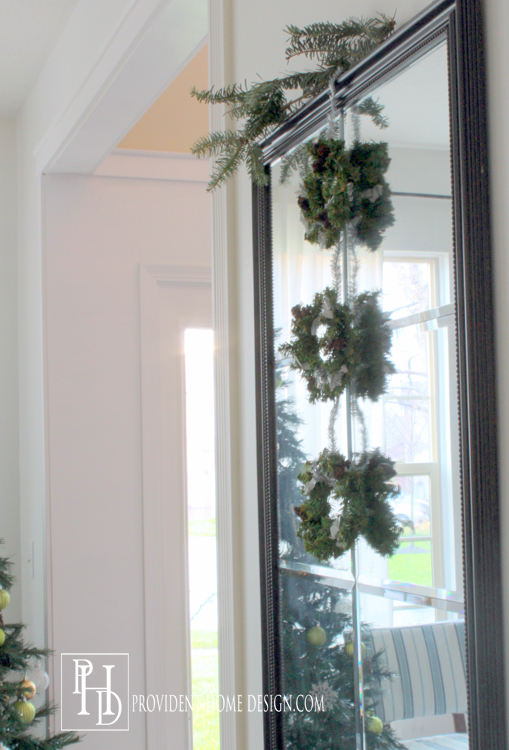 I love your approach to collecting free scraps of greenery and then creating your own garland. I did the same thing at a Christmas tree farm and used the sprigs I picked up on the ground to topped my gifts. 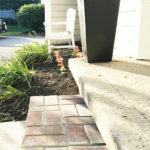 Your house looks beautiful! But my favorite is the photo of the cat – “please, no more pictures!” LOL! So cute! Your home is lovely! I like the wrapping paper in a basket as decor the best! I never thought of using it in that way. Mine is stashed in my closet right now, but why hide it when you buy the cute stuff? 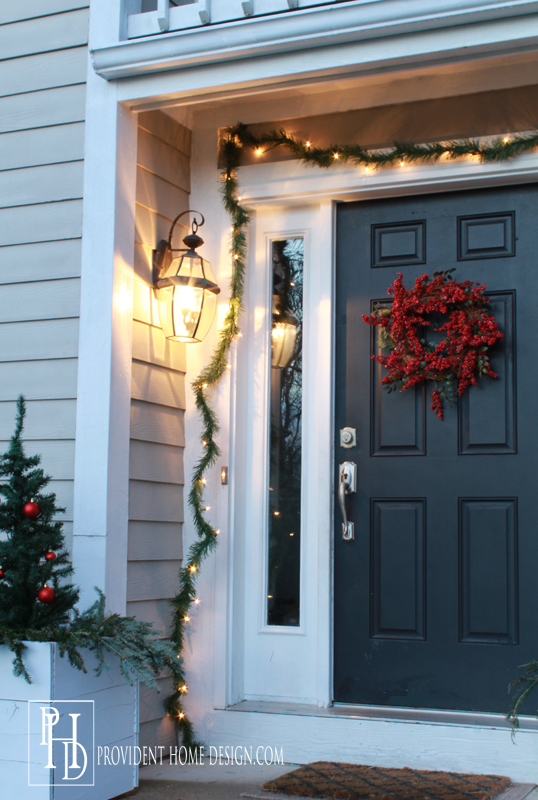 I love your beautiful home, and, all of the beautiful Christmas decorations! You have so many terrific ideas! 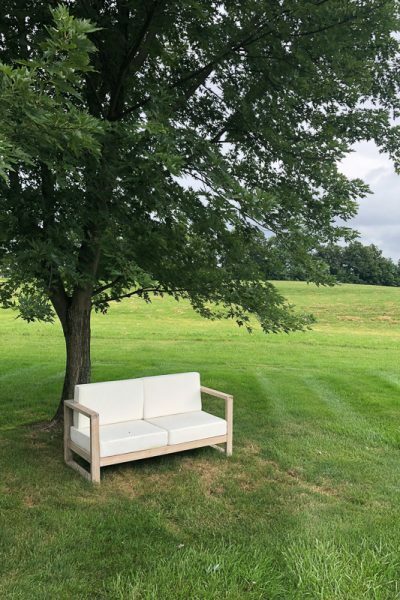 May I ask where you purchased your sofa and love seat? Thank you!